Monique DiGiorgio was driving the familiar Interstate 90 near her Montana home when the Volvo she was driving slammed into two mule deer meandering across the highway at dusk on an autumn evening in 2011. She was 37 years old, a mother, driving the speed limit of 75 and, unfortunately for her, nursing an already bad back. There was impact, and then an explosion in her chest as the airbags burst open, releasing blinding smoke, suffocating gas and a momentary hell in the front seat. She had no idea if she was in a ditch, on the side of the road or a sitting duck in the middle of the highway in the path of a speeding 18-wheeler. As it turned out, although her car was sideways in the middle of two lanes of interstate traffic, she was able to run to safety and was relieved and grateful when other drivers stopped to help. Later, when the tow trucker driver arrived to haul away her car, the first thing he said was that he frequently picked up people who had hit wildlife in that exact spot. He pointed out the river on one side of the highway and explained the deer had been trying to get to it. This crossing spot was a death trap—for people and the animals they hit. If that was so, DiGiorgio wondered, how could no one have done anything about it? She was horrified that this spot where she almost died was a known and dangerous wildlife crossing. “Yet as a society we appear to be doing nothing about it,” she later said. For those two deer that died on impact (and statistically became part of the one to two million wildlife vehicles collisions with deer in the US each year), it was too late. But for DiGiorgio, there might be some relief to hear that around the world people are, in fact, beginning to do something about preventing accidents exactly like hers. From Montana to Mongolia, Canada to China, New Jersey to the Netherlands, stories abound now of how governments, universities, elected officials, nonprofit organizations, departments of transportations and foundations are coming together to implement a proven and readily available solution: the wildlife crossing. These crossings come in all shapes and sizes. 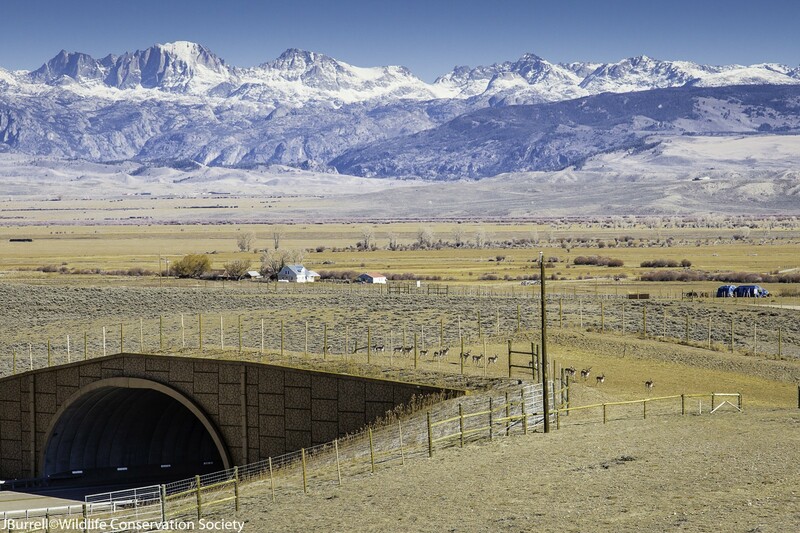 If you live in the Rocky Mountain west, you have likely driven over one of the 70 wildlife underpasses in Montana and under the one overpass in the Flathead Indian Reservation near Polson. If the South is your home, then maybe you’ve driven over the underpass built in 2010 for the Florida panther whose numbers were reaching near-extinction level due to wildlife vehicle collisions (WVCs). And if you are a world traveler, maybe you’ve driven over one of the 600 culverts in the Netherlands that allow the European Badger and other species to cross highways, and enable motorists to get safely where they need to go—not to mention the animals. While there is no firm number of how many wildlife crossings there are around the world, Rob Ament, Road Ecology Program Manager at Montana State University’s Western Transportation Institute in Bozeman, estimates there are somewhere in the low hundreds for the United States and thousands worldwide. The vast majority of these are underpasses, largely invisible to the average driver, and Ament estimates that in the US there are some 10 overpasses. But as the problem of wildlife vehicle collisions increase — Federal Highways says the number of crashes between wildlife and motor vehicles has grown by 50 per cent in the last 15 years — and word of the crossings’ effectiveness spreads, so does interest in this solution. What is needed is for state departments of transportation to make them a priority. Just how effective are these crossings? Ament, an easy-going biologist who manages over 20 active road ecology research projects throughout North America, says there is plenty of evidence that the crossings work. 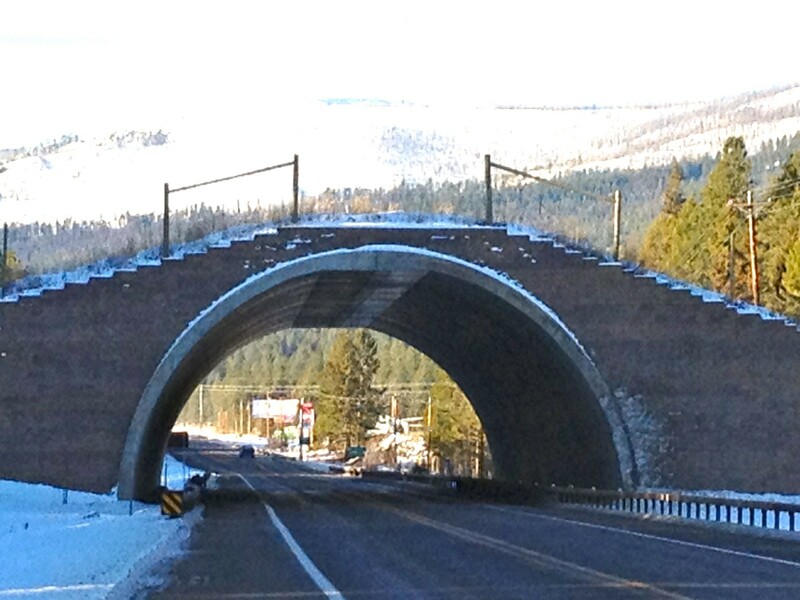 He cited studies that show that wildlife overpasses and underpasses, when combined with fencing, are between 86 and 99 percent effective at preventing wildlife vehicle collisions. In Banff National Park, for example, prior to the highway mitigations, there were on average 100 elk vehicle collisions (EVC’s) per year. The number of collision post-mitigation has dropped to an average of a half dozen. In Southwest Wyoming, where a 21-km section of U.S. Highway 30 overlaps with a critical winter range and migration route used by thousands of mule deer, the Wyoming Department of Transportation installed seven concrete box-culvert underpasses with continuous game-proof fencing between each crossing structure. This system of underpass and fence installation effectively reduced deer vehicle collisions (DVCs) by 81 percent. The fencing is critical because it channels the animals toward the actual crossing structure while preventing them from accessing the road. The height of the fence has to take into account the abilities of the target species and must be designed to prevent animals from crawling under or jumping over. There have been some cases where the fencing has been necessary in order to get a particular species to use a crossing. Cougars, for example, will not use culverts, and ungulates will not use underpasses unless all other access is eliminated. 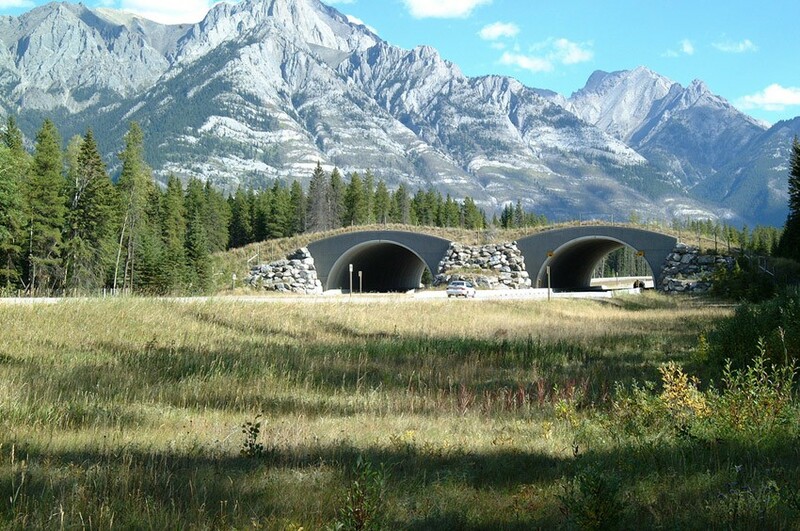 Up the road from Bozeman, in Banff National Park in Alberta, Canada, Ament’s colleague Dr. Tony Clevenger has spent well over a decade monitoring the effectiveness of the now 44 wildlife crossings (38 underpasses and 6 overpasses) along the TransCanada Highway (TCH) in the park. He and his team of researchers have documentation of over 240,000 crossings by large mammals in the 15 years since monitoring began. 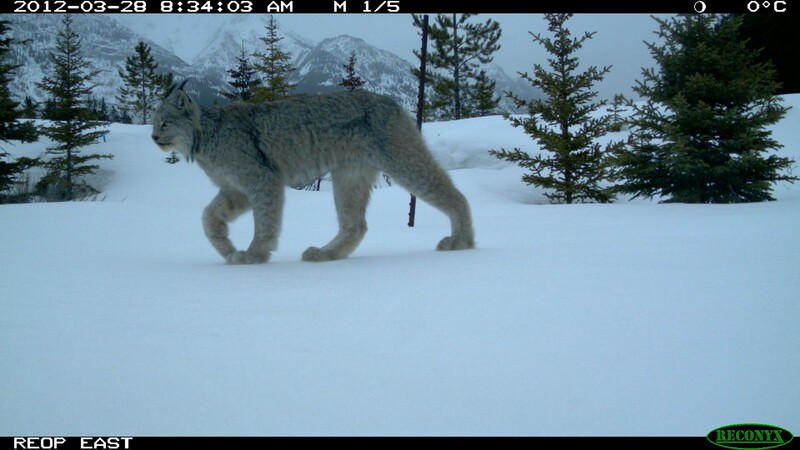 From the 24/7 video cameras (see photo below), to the telemetry-collared individual animals, to the traps that snag bear hair, Clevenger has collected proof of hundreds of thousands of crossings. What emerges is a story about a lot more than just fewer car accidents and more animals making it across the “Berlin Walls” of interstate highways. 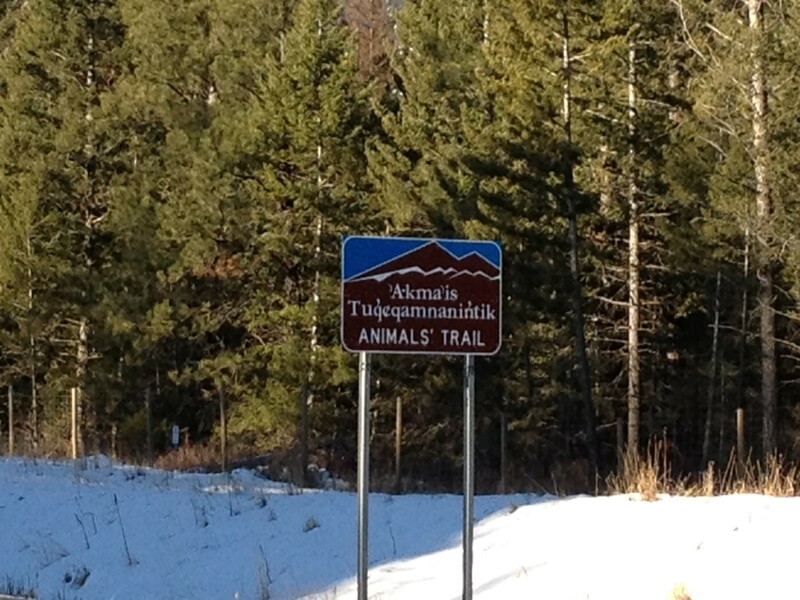 Wildlife crossings also play an integral role in protecting the health of whole animal populations. To stay vibrant and genetically healthy, animals need to roam great distances to find mates and prevent in-breeding that can lead to disease and possible extinction. A three-year study of black and grizzly bears crossing the TCH by Dr. Michael Sawaya in January 2014 in the Proceedings of the Royal Society B publication concluded that wildlife crossings allow sufficient gene flow to prevent genetic isolation. Crossings work not just at diminishing wildlife vehicle collisions, but at insuring the ecological integrity of habitat as well. Win, win, right? The question is When When? When Monique DiGiorgio limped away from her totaled Volvo that Montana evening, her story would become an addition to a staggering statistic. A 2009 study by Marcel Huijer of the Western Transportation Institute calculated that wildlife vehicle collisions cost $8 billion per year in the United States when property damage, human injuries and fatalities, carcass removal and loss of recreation revenue are included. This number was not lost on Ted Zoli, a MacArthur “genius” award winning bridge designer who is the national bridge chief engineer at Howard, Needles, Tammen & Bergendoff (HNTB), one of the largest engineering firms in the world, headquartered in Missouri. In 2010, Zoli was approached to be a juror for an international competition whose goal was to inspire new designs for wildlife crossings. Called the ARC International Wildlife Crossing Infrastructure Design Competition, and sponsored by the Woodcock Foundation in New York City in collaboration with the Federal Highways administration, the competition called for new designs of a cost-efficient, ecologically responsive, safe and flexible wildlife crossing. Zoli decided to enter the competition instead of jurying it and told Competition Advisor Nina-Marie Lister that he planned to win. Since ARC required that applicants be interdisciplinary design teams, not exclusively bridge builders, Zoli joined forces with the landscape architecture firm of Michael Van Valkenburg (MVVA) and became one of 39 submissions from around the world, representing over 100 collaborating organizations. 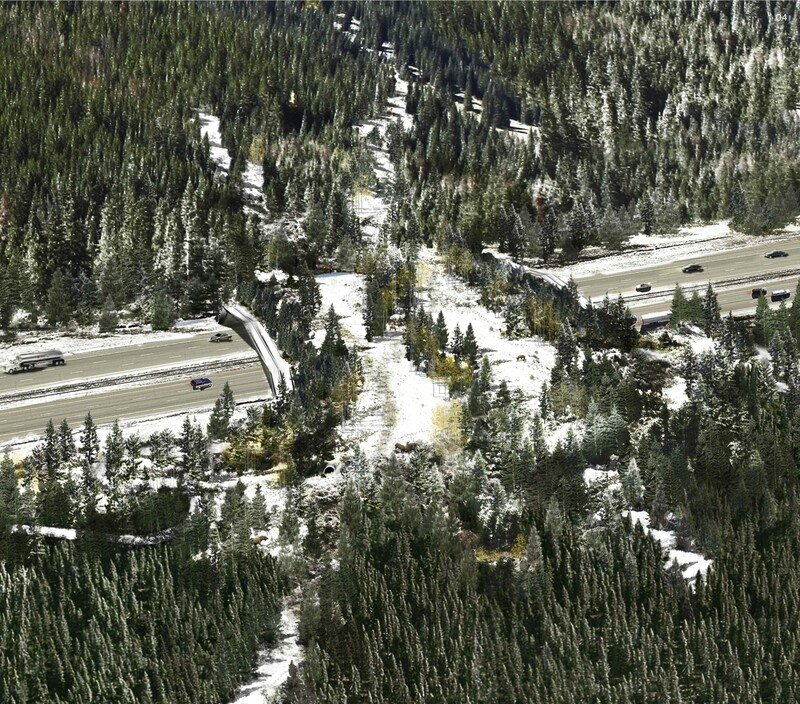 Artist Rendering of the winning ARC (Animal Road Crossing) Wildlife Crossing Design Competition, courtesy of HNTB/MVVA. ARC principles include new methods, new materials and new thinking to make crossings ecologically sound and economically viable. Immediately after the ARC competition, a local group of Colorado conservationists, engineers and nonprofit groups came together to form the I-70 Wild Byway organization, dedicated to getting the Zoli bridge, or something close to it, built at the Vail Pass. It was not to be. Despite the support of Colorado Governor John Hickenlooper, who wanted to build it and “make people gasp” as they drove underneath it, the Byway was unsuccessful in its application to the Colorado Department of Transportation (CDOT) to secure funding for construction. There were many reasons for CDOT’s hesitance, the biblical September 2013 floods among them, but in the end it was seen as too risky with not enough local support and no private funding. Further north, however, in Kremmling, Colorado, private funding was secured — and a lot of it. There, the infusion of close to $5 million dollars from hedge fund billionaire Paul Tudor Jones met the CDOT criteria for matching funds, and CDOT is now moving ahead with a $46 million dollar project that will include include seven wildlife crossings (two overpasses and five underpasses) and the installation of game fencing on both sides of the roadway. Brent Cole is another strong advocate for wildlife crossings and fencing. 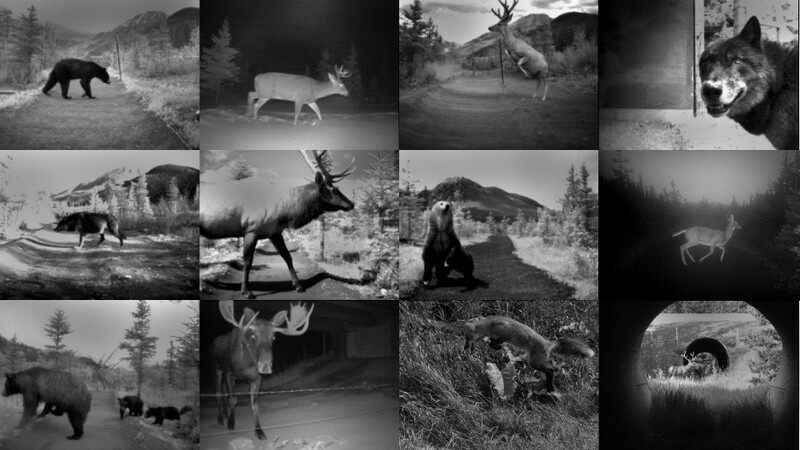 Like Monique DiGiorigio on her Montana highway, Cole’s drive across the TransCanada in Newfoundland at dusk landed him right into wildlife. The 18-point, thousand pound bull went catapulting up over Cole’s car, landing on the roof, which then collapsed, driving Cole’s head down into his shoulders and breaking his neck in two places. Not all is lost and there is reason for optimism both in North America and around the world. The Woodcock Foundation, based in New York City, recently undertook an assessment of 11 western US states (CA, NV, MT, WA, WY, CO, ID, OR, AK, AZ and NM) to see what appetite exists to build the ARC Zoli-designed bridge or something close to it that demonstrated use of new materials, new methods and new ways of thinking about crossings. So far, according to Paul Orbuch, the conservation consultant conducting the assessment, interest has been significant. Transportation officials in each of the 11 surveyed states not only expressed interest in building crossings but had immediate ideas for where to site them. The state of Nevada, for example, mentioned five sites, one in particular along I-80 in the Pequop Mountain area of eastern Nevada near Winnemucca. The state of Washington had three sites, Utah four, Idaho four and so forth. Orbuch thinks that for ARC-inspired wildlife crossings to become the new normal, one courageous DOT in one courageous state needs to step up and build one and prove that new methods, new thinking and new materials are the win-win that our highways and wildlife have both been needing. Maybe those DOT’s should look to Mongolia for leadership and inspiration. Ironic as it is that North America has more than 4.8 million miles of paved roads and Mongolia has only 2,400, it is this Asian country, landlocked between China and Russia to its North and South, that is taking the long view on the importance of mitigating for wildlife when planning infrastructure construction. 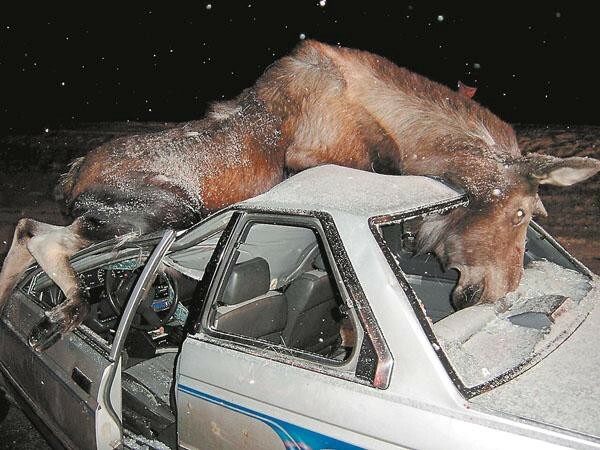 Much has happened since Monique DiGiorgio hit those deer in 2011 and Brent Cole that moose in 2006. Taken together, the ARC design competition, the Highway 9 project in Kremmling, the developments in Mongolia, and the Woodcock Foundation project all point in the same direction. 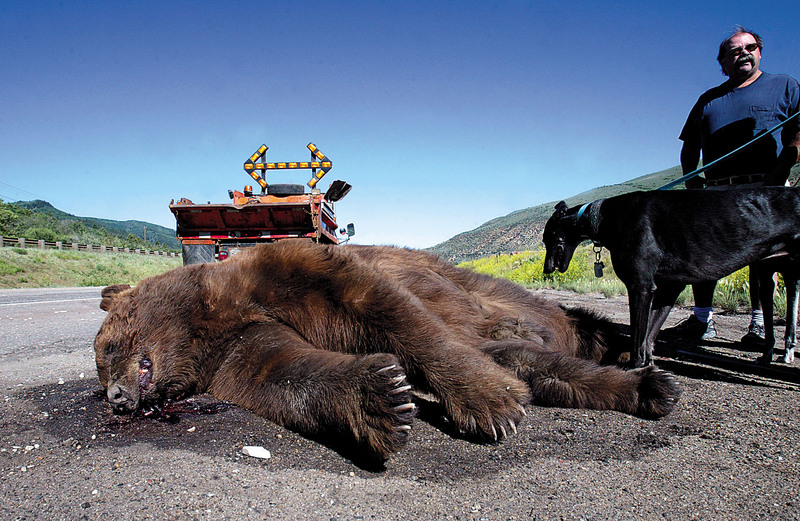 With wildlife vehicles collisions on the increase, more heads are turning toward the known solutions. Digital Journalist. Philanthropic Consultant. Social Change Junkie. World citizen. Singer. Songwriter. Mama.